Charlotte Sieber-Gasser is a PostDoc Research Fellow at the Brexit Research and Policy Institute at the Dublin City University. 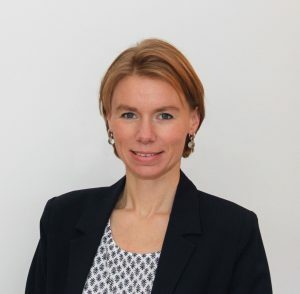 She holds a PhD in Law from the World Trade Institute, University of Bern, an MA in Development Studies from the Global Development Institute, University of Manchester, and a Master in Law from the Universities of Fribourg and Bern. Her research focuses on preferential trade agreements/economic integration, and on multi-level governance of democracy, inter-generational justice and trade. She previously held research and teaching positions at the World Trade Institute, University of Bern, the Graduate Institute of International and Development Studies in Geneva, and the University of St. Gallen. Among others, she teaches public law at the University of Luzern and is (co-)author of a number of studies and legal opinions dealing with various aspects of foreign trade policy in Switzerland. Her most recent book, Developing Countries and Preferential Services Trade, is available at Cambridge University Press.